Getting your inoculations two weeks before your vacation is preferable. As a doctor in Hong Kong for the last 25 years, I have regularly seen adults and their children back from travel, having caught preventable diseases that they assumed no longer existed. 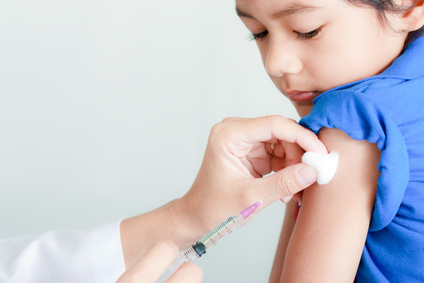 The following vaccinations are available and if needed, should be ideally taken at least two weeks before travel; even if taken the day before travel, they will still provide some protection. Hepatitis A (updated every 10 years). I have seen this even in Hong Kong: it is usually caught from contaminated food sources, and often from kitchens that don’t observe the highest standards of hygiene, and also from contaminated shellfish. Hepatitis B – two-thirds of the world’s Hepatitis B infections are in China and Hong Kong. Ten percent of the local population in Hong Kong carries the virus, which increases the risk of liver cancer. Typhoid (updated every 3 years). The classical salmonella food poisoning is an example of typhoid. It can be caught from dirty water, ice in drinks,or food prepared unhygienically. Tetanus/polio (updated every 10 years). Keep vaccinations up to date if you are planning to travel in Asia. Tetanus is caught from cuts and scrapes. Polio, though rare, still exists in some rural areas of Asia. Meningitis A and C vaccines (updated every 3 years) are required if traveling to India, Malaysia and the Middle East. It is spread by sneezing or coughing, and outbreaks occur sporadically, which can be fatal. Wear long-sleeved clothing and apply effective mosquito repellent to exposed parts of the body. Use mosquito screens or nets when the room is not air-conditioned. Place anti-mosquito devices near possible entrances. Prevent accumulation of stagnant water where mosquitoes can breed in a day. Dengue fever is an endemic in most South East Asian countries. If you go on vacation to an area where dengue fever is prevalent–typically tropical and sub-tropical regions–seek medical advice promptly upon return to Hong Kong if falling ill.
Wrist and ankle bands, such as Para’Kito (available here at Holistic Central), are a safe, side-effects free mosquito repellant that slowly releases seven essential oils and lasts a full 30 days per pack. Exercise your lower calf muscles by getting up and walking around since your muscles act as a pump for internal veins. If you are unable to get up and walk around, try raising and lowering your heels while keeping your toes on the floor to circulate the blood. The point is to flex the ankle, so blood pumps in the calf muscle. Wear compression stockings to prevent blood clots in the legs if your doctor recommends them. Be sure to keep hydrated while traveling and avoid drinking alcohol before travel as this will dehydrate the system. Travel sickness is caused by an inner-ear imbalance and some people are more prone than others. Try fixing your eyes on a fixed point outside the moving object, such as the horizon. When traveling on the road, encourage children to look at things outside of the car because focusing the eyes on a moving object while in the car will give the wrong clues to the balance systems. Make sure the car is well ventilated. The driver should take bends gently, not slowdown or accelerate repeatedly and you should stop for regular stretches (once an hour) throughout the trip. If traveling by sea, get as much fresh air as possible and get away from the smell of fuel fumes. Going on deck is ideal, but focus on the horizon or something that is not moving. If taking an airplane, ask for a seat near the wing where the plane is most stable. Tilt your seat back, rest your head on the headrest, and close your eyes. Avoid heavy meals and alcohol before traveling. Try ginger or peppermint remedies: such as ginger biscuits, tea or in crystallized form; and peppermint in a sweet or tea. For any motion sickness, medication can be prescribed. Also, acupressure can be applied using a wristband, such as Seaband, or by pressing your finger against the middle of the inner wrist about three finger widths above the crease where the wrist joins the hand. To ‘re-set’ the pineal gland, which produces the sleep inducing melatonin, get as much natural sunlight as possible in the new time-zone. For instance travelling from Hong Kong to Europe, going out in the afternoon in Europe will send massages to the brain that it’s nowhere near time to secrete the melatonin. When returning from Europe, you do not want to go out in the afternoon, as this may inhibit sleep. Avoid alcohol the day before your flight since it can cause dehydration, which disrupts sleeping schedules, triggers nausea and creates general discomfort. Similarly, avoid caffeine before, during or just after the flight as caffeine also causes dehydration and disrupts sleeping schedules. Drink water, especially during the flight, to counteract the effects of the dry atmosphere inside the plane. The occasional sleeping pill is harmless, however a chemical effect of them is that you’ll miss out on a lot of deep, restorative sleep, (non REM sleep) so can wake up tired. There are many homeopathic and herbal remedies such as valerian root, which is a herb that can be used as treatment for insomnia, is an option. It’s always best to consult us, or another physician before taking any homeopathic or herbal remedies. While sunscreen is the best solution to protect the skin, it is also important to buy the right sunscreen as many are formulated using potentially harmful chemicals. Some sun blocks are suspected of causing cancers! Protects against both UVA and UVB – The SPF measure only indicates the protection provided against UVB rays. Sunscreens that contain zinc oxide, titanium dioxide or 3 percent avobenzone as active ingredients will provide some protection against UVA rays. Is free of oxybenzone – It is one of the most common ingredients in sunscreens and its function is to absorb ultraviolet light. However, oxybenzone is also believed to cause hormone disruptions and cell damage that can cause cancer. Is free of vitamin A (also labeled as retinyl palmitate) – Found in many sunscreens, vitamin A is proving controversial with some claims that may increase the risk of skin cancer. Provides a maximum SPF of 50 – The protective ability of SPF is not linear: while SPF 50 blocks 98% of UVB rays, SPF 100+ blocks 99.1% of UVB rays. A higher number does not necessarily offer significantly more protection for the higher price. 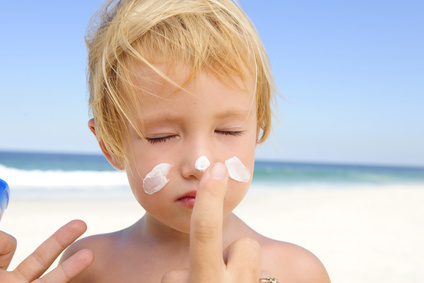 You may also want to avoid sunscreen sprays and powders as these may be inhaled. To lose weight, you must burn more energy (measured in calories) than you consume, so you must keep track of the calories consumed and burned. You can try using a website or iPhone app to help you with this. It is also important to remember not to cut nutrients while cutting calories. Dr. Cherisse Yang’s Urban Health Farm Detox/Weight Loss Solution not only helps you lose weight, but helps you adopt a healthier approach to eating so your weight loss is sustainable. In this treatment you are supervised through a raw food diet (and given almost all your food supplements for 2 weeks) as well as being tested for food intolerances, candida, etc. by another therapist. Alternatively, for those not ready for such a comprehensive treatment, Dr. Yang can also provide private consultations for advice. Take acidophilus, a probiotic and “good” bacterium that can help maintain the integrity of the gut and help with digestion, before and during your trip. Acidophilus can be found in yogurt, acidophilus milk (yogurt drinks), kefir, and miso paste and may be a big help in dealing with stomach upset. Hopefully these travel tips will help keep you safe and healthy during your vacation and any other travel you undertake.